boyfriend to take his own life. took place in a span of about 40 minutes. contacting her parent and aunt to stop the two from seeing each other. could communicate with the girl,according to the New York Post. bullying!!" she wrote in the statement. 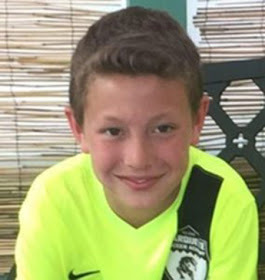 0 Response to "11-Year-Old Boy Commits Suicide After His Girlfriend Faked Her Own Death"